Though it typically has are often long, hot summers, the small, mid-Atlantic state of New Jersey’s not known for year-round sunshine. Nonetheless, technological advances, lower costs and state and federal incentives– along with consumer enthusiasm, has made the Garden State a prime market for solar photovoltaic (PV) power. The effects are seen in the small business sector, as new solar PV businesses establish themselves and already established ones extend their business lines into the solar PV market, or completely reinvent themselves to capitalize on growing demand for solar power. An instance of the latter, Freehold, NJ-based Trinity Solar started out life as Trinity Heating & Air. Seeing promise in New Jersey and Mid-Atlantic states’ emerging solar energy market, and able to leverage the knowledge, skills and resources it had acquired, the company reinvented, and renamed, itself in 2004, when the company began focusing on installing solar PV systems for residential and commercial customers. Yesterday, Trinity Solar announced the installation of its 4,000th solar PV system. Announcement of the milestone comes just some nine months after it had installed its 3,000th solar PV system. Trinity’s success in developing its own projects and solar PV systems installation has garnered national attention. 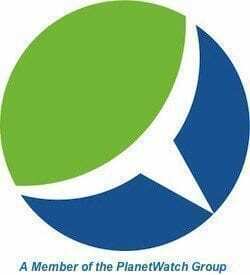 The company was ranked as one of the fastest growing companies in the country by Inc. Magazine. 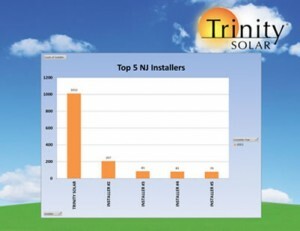 NJBIZ named it New Jersey’s #1 green energy company, according to a Trinity Solar press release. New Jersey’s Renewable Portfolio Standard (RPS) and solar renewable energy credits (SRECs) have been key elements underlying Trinity’s success, as well as that of other businesses large and small now active in the state and broader region. Some 16,715 solar PV systems with a total 831.6-MW of generating capacity had been installed in New Jersey homes and businesses as of June 30, according to NJ’s Office of Clean Energy. Originally enacted in 2002, New Jersey’s RPS requires that 22.5 percent of electricity providers’ retail electricity sales for Energy Year 2021 (end of May) come from qualifying renewable energy sources. A separate solar power “carve-out” requires them to obtain at least 4.1% of their electricity sales from qualifying solar electric generation sources by the end of Energy Year 2028. The mandate has led state utilities to develop their own solar and renewable energy projects, contract for others, and help finance smaller residential and commercial solar PV installations. Public Service Electric & Gas (PSE&G) is looking to state regulators to approve as much as $883 million of additional investment to extend and expand its solar energy programs. Approval would result in the utility being able to develop some 233-MW more of solar PV generating capacity in New Jersey. Approval of the additional investment would also create green jobs. Some 300 direct jobs per year would be created over the ensuing five years, PSE&G parent company executive vice president Caroline Dorsa told investors and analysts during a 2Q earnings conference call.